Congratulations to G4IPZ and CO2DC. Thanks for the info. Thanks for the great software you have developed. I have just downloaded the new version and am trying it later. I thought you might be interested in my contact from the UK to CO2DC Havana, Cuba on April 26th. I was running about 5 watts from a Trio TS130V into a half size G5RV. There was some trouble with qrm but we made it in the end. 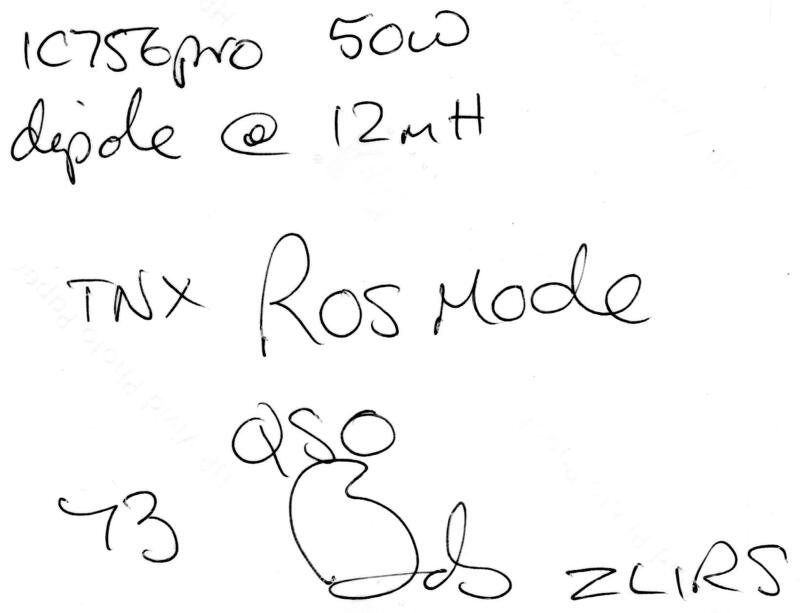 Again, 5 watts were enough to across the Atlantic on 7050 using ROS HF at 8 bauds. This time between Spain and Cuba, two countries that really support the experimentation as one of the basic purposes of Amateur Radio. Congratulations to Pepe EA1OD and Jesús Co2DC. RX8: <23:45 UTC> <-7.8 Hz> CO2DC de EA1OD OK JESUS G/ æf POR EL QSO MI QSL VIA PEPE EA5KB EQSL/LOTW TAMBIEN. On April 24, Giussepe IK5UIM completed a QSO with Jesús CO2DC across the Atlantic with only 5 watts and some interferences of RTTY contest on 7050 Mhz. Speed: 150 characters/minute (8 bauds). Giussepe started with 300 watts, but at the end he realized 5 watts were enough with this technology for HF. Congratulations to Giussepe and Jesús for the great QSO and for reporting the log file. 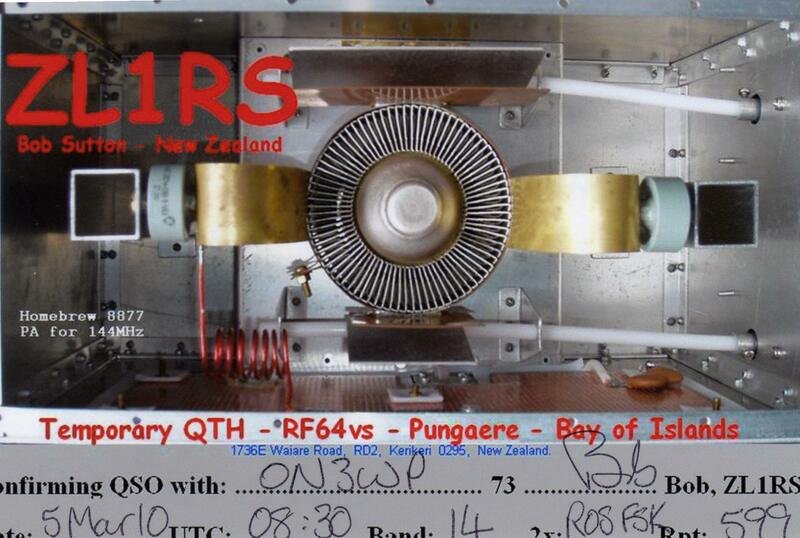 New QSO Europe-New Zealand, RA6DJ (20 watts) with ZL2FT (10 watts) at 16 bauds with a ¡¡ Fade Marge of only 2 dBs!!. In thats conditions is bettter down to 8 bauds (taking advantage of the ROS Auto RX options). Marge of 2 dBs is very poor for a long DX communication over HF. Thanks Franco for the info and good DX. On April 9 at 00:00:01 UTC, a new improvement will be incorporated to ROS 1/2250. Now this protocol will use a more diversity in frequency. This mode is the best opcion for QRP extreme over a HF channel. As before, changes have been programmed previously in the software 2 weeks ago, so you should not problems during the transition. Also, by suggestion of Vladimir Shabaldas (VA3LLZ), i have add an option of RX AUTO to can receive automaticly at all the differents symbols rate. As this require more CPU usage, you can decide if you want auto decode 16 and 8, or if you want auto decode at 16, 8 and 1. You must check CPU Usage Gauge to know if you can use this option, or you can select AFC +-78Hz to reduce CPU Usage. As you have realized working with ROS, AFC of 78Hz is enough for the most of QSO’s. This new version will be upload today at 00:00. Wohh. Intercepted two messages from Australia in the Twente SDR on 7.050 Mhz. Mode ROS1/2250. ¡18.000 kms! Perfect copy with strong multipath. ¡Great QSO! On March 3, ON3WP could establish contact with ZL1RS using a vertical antenna and 3 Watts on 20 meters. (With the ROS new versions, it is recommend to select 8 bauds for that purpose). Congratulations for the QSO and thanks for the info. Woohh. Intercepted these messages from 7J1ADS (Japan) in the Twente SDR on 14103. Fade Marge between 4 and 8 dB. ¡10.000 Kms. !